Contagious things don’t have the best reputation (see: stress and the flu). But a new study from researchers at the Massachusetts Institute of Technology’s Sloan School of Management found one thing you definitely do want to catch: the exercise bug. 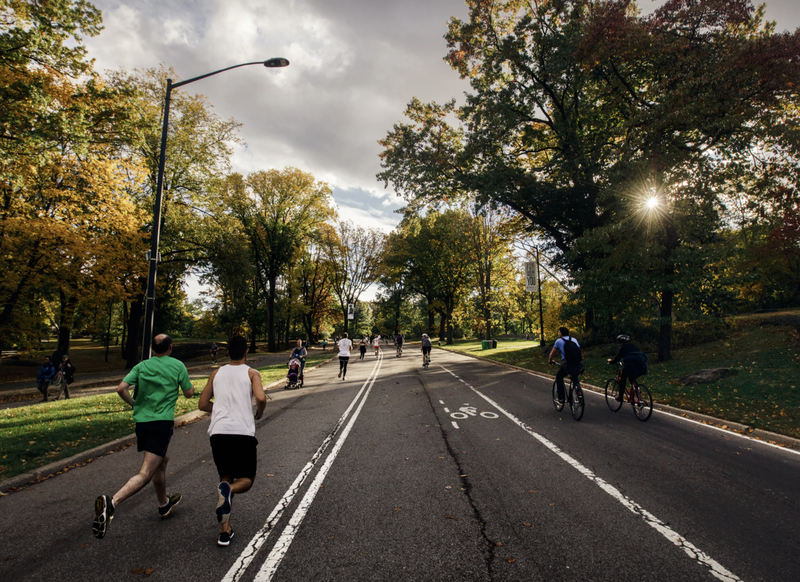 According to the study, running might be “socially contagious,” as the New York Times reports. The study, published in Nature Communications, analyzed five years of data from a global social network specifically for runners, where people can compare their workouts to their friends’ workouts. Researchers tracked the frequency and length of 1.1 million users’ runs via activity monitors, giving them a more accurate read on exercise habits than they would have gotten with self-reported data (people tend to fib on those results to seem fitter than they are, NYT writer Gretchen Reynolds explains). The researchers found that regardless of where users were geographically, friends within the network demonstrated similar running patterns to each other daily and yearly, suggesting that “running can be socially contagious,” according to Sinan Aral, leader of the study and the David Austin Professor of Management at M.I.T. At first, it was unclear whether workout buddies were actually affecting each other’s runs or whether similar runners naturally gravitated towards each other on the network, NYT explains. But the researchers found an inventive method to answer that question: Bad weather can make people less inclined to get outside and move, so they compared weather patterns with running habits to see if people were so motivated by their friends that they exercised in less-than-ideal conditions. The data showed that if someone ran 10 minutes longer than usual one day, their friends would correspondingly run an extra 3 minutes, on average, even if the weather was bad, NYT reports. The same idea held true for speed: If one runner ran faster than their usual pace, their friends were more likely to put more pep in their step to match their workout on the same day. These effects were strongest if a previously sluggish friend started to catch up to a speedier peer. It seemed the “threat of falling behind,” according to NYT writer Gretchen Reynolds, motivated the faster friend to stay ahead. There are some caveats to the study, including the fact that it only measured people who were already exercising. That means the researchers aren’t sure whether the “socially contagious” aspect is true for other types of exercise or for less active people. However, the findings support the idea that social influence can be beneficial if put to good use. In this case, some friendly competition could be just the motivation you need to move more.